It's another photo dump! 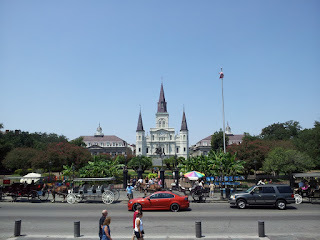 Here are some awesome sites from our little trip to the Big Easy. Bourbon Street, early on a Saturday night. 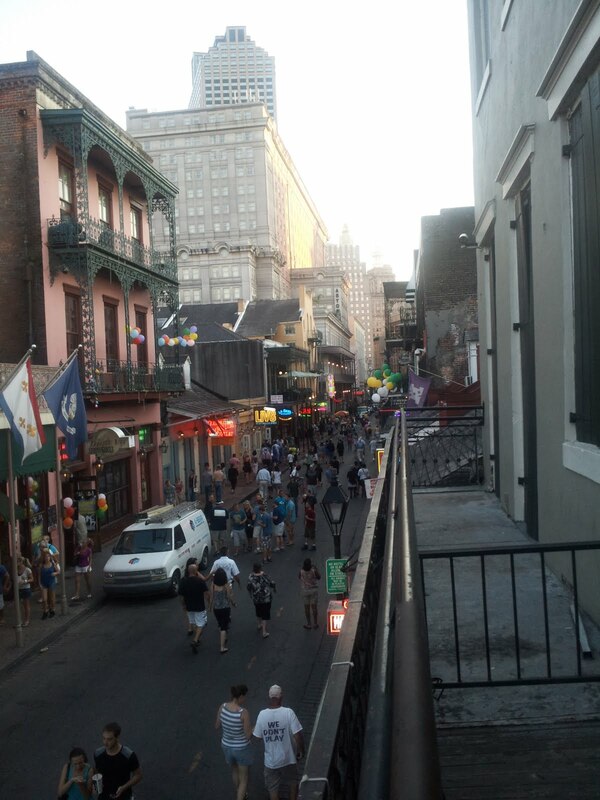 We found a bar called the Bourbon Cowboy that had a 3 for 1 drink special and a balcony. Score! 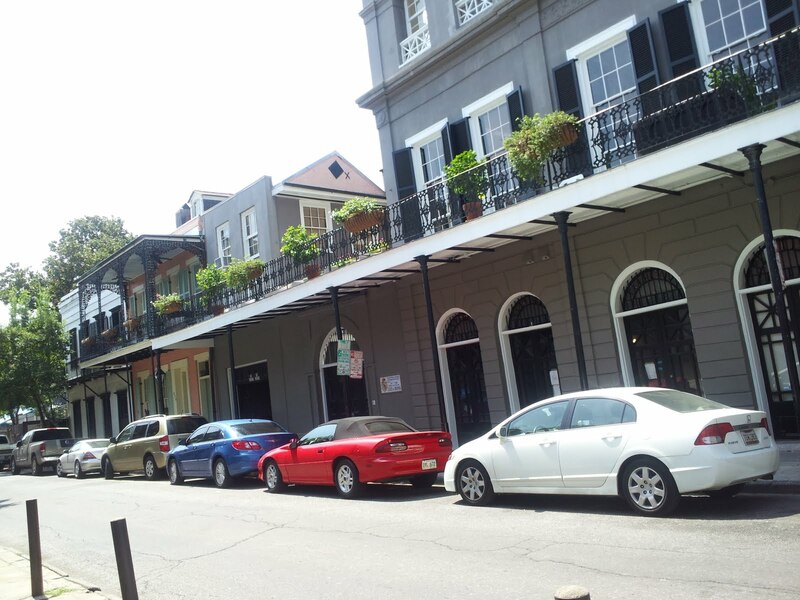 The LaLaurie Mansion, the most haunted place in New Orleans. 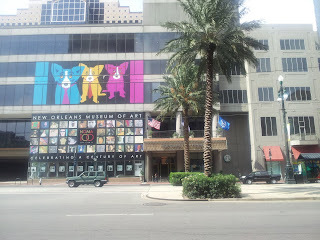 This was one of the stops on this funky ghost tour of the French Quarter that we took. We didn't see any ghosts, but who knows, maybe there's a phantom image in this picture. 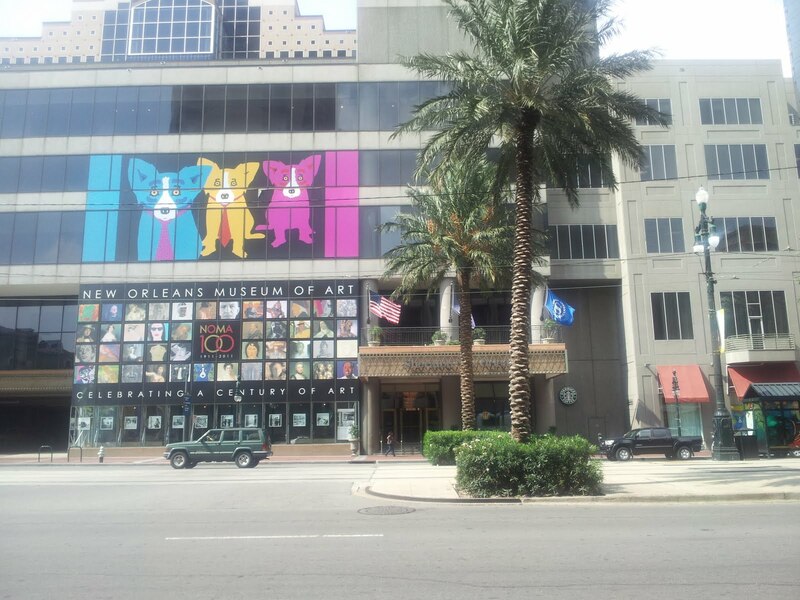 Our hotel, the Sheraton, which was decorated with the art of George Rodrigue. It was a super cute hotel with a fancy lobby, but the pool was tiny and the gym was under rennovation. The location rocked and we got the room for super cheap, so we got what we paid for. Where Marie Laveau may or may not be burried in St. Louis Cemetery No. 1. People leave lipstick, hair ties and alcohol as offerings to her because she was a hairdresser. 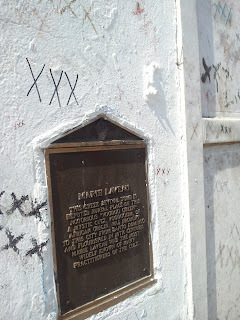 They also mark her above-ground grave with three Xs, which are voodoo symbols. 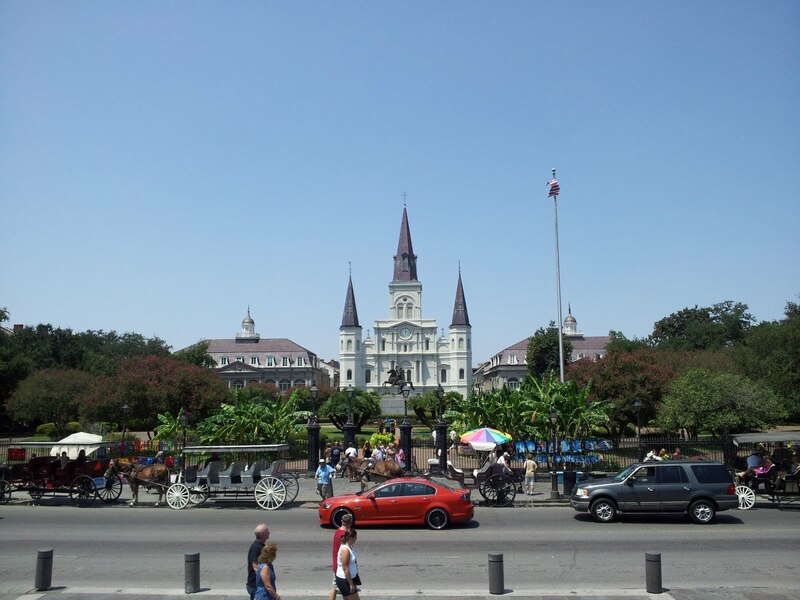 The cemetery is still in operation today and has more than 100,000 bodies within one small city block.